I’m not saying I was up until 2 a.m. scrolling through Instagram last night. But if I had been swiping—say, from my feed to my Explore page to a dozen new accounts, for example, for the better part of an hour—then it may have ended up with 23 new screenshots and a log of photos in my private Instagram folder. Yet when I woke up in the morning, there they were: a clutter of screenshots and snaps saved to my Instagram Collections, taking up valuable space on my phone’s shrinking storage plan. As I thumbed through the evidence of my late-night digital deep dive, I found videos of a fashion show perched on a cliffside outside Marseilles, a new swimsuit brand based right here in L.A. I had never heard of before, snaps from Amangiri with an outfit I wanted to research, a vintage Prada bustier destined for my closet… Collectively, they’re all discoveries in the world of fashion that struck me as worthy of holding onto. And this, my friends, is what’s helping to change the tide in fashion. Now, more than ever, there’s an opportunity for young brands to get their start in the industry. In years past, fashion was often dominated by a few big names, models of limited diversity and body types, a handful of major retailers, and brands with brick-and-mortar stores. In large part, it’s because of the way the industry was built. There have always been huge barriers to entry, and it continuously has been run by a small group of people at the top. The internet, though, and platforms like Instagram, are helping to democratize the whole system—meaning that any one of us can launch a business and have a voice in fashion. Here, we’re highlighting about-to-break brands that were born on the internet and aren’t adhering to the traditional retail path. Instead, they’re thinking social—and really, digital—first. Welcome to the new guard of fashion in 2018. Prepare to fall in love with these fearless brands. 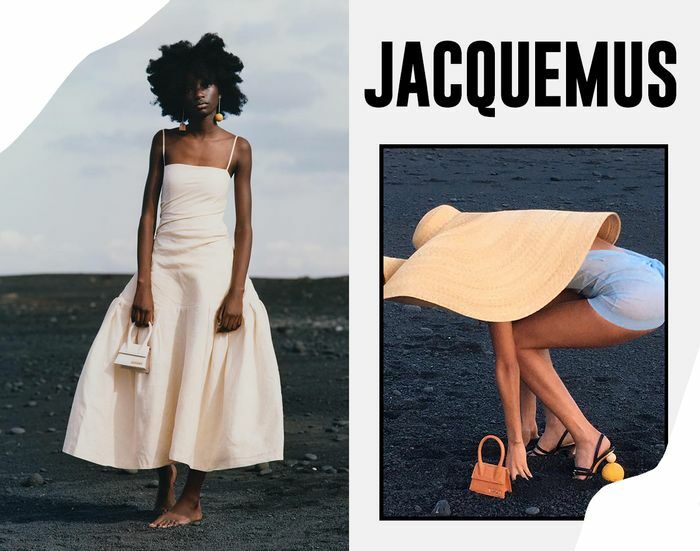 Jacquemus has roots in the digital world, and Instagram is a place where the designer increasingly connects with his growing audience. Earlier this year, he strung his curious fans along for months with his #NewJob posts—stirring up discussions about his next move—before announcing his menswear collection. And just this week, Jacquemus debuted its menswear line in the South of France. Utilizing Instagram, Instagram Stories—and now even IGTV—anyone following along could get an intimate look at what was happening. Proof that you no longer have to be a celebrity or fashion editor or famous influencer to have access to the brand or a front-row seat at his fashion shows. Across the internet, you’ll find that most online retailers only show certain types of e-commerce images. They’re crisp product shots taken against a clean white background, and every detail of the piece is visible, captured in high-res, full-length, and all angles. Lucia Zolea—a small online vintage store with finds like Chanel embossed rose pumps and a 1930s satin fringe set—is doing something different. Her images have a consistent look that are ethereal rather than sharp. But these are a far cry from those blurry shots on eBay shot with poor lighting. Instead, they invoke a mood. They’re dreamy and romantic, with a unifying aesthetic that feels so right for vintage pieces from another time. At Chromat, conventional body norms are thrown out the window. The shows are inclusive of all shapes, sizes, and shades, and the pieces customers can buy off the runway are available in an inclusive size range as well. Beyond that, the brand’s commitment to diversity really shines on Instagram, where models and the everyday people Chromat highlights evoke a level of body confidence that makes you wonder why more labels aren’t doing the same thing. I first discovered Fripouille Vintage when I spotted French model Louise Follain wearing one of the brand’s pieces. This is vintage shopping but built for Instagram. There isn’t a store, there isn’t a website, and there aren’t even Instagram shopping links built into the posts. Instead, all of the sales happen over direct messages on the account. Word to the wise—send a DM the moment you spot a new piece. They sell out fast! Available in one size. Pricing available upon request. Unisex fashion that is all about fluidity and inclusiveness designed "not for you—for everyone"
As new fashion brands launch in 2018, many of them are forgoing the old-school way of opening a brick-and-mortar store or selling to large retailers. Instead, many are opting into direct-to-consumer models. One of those is British clothing label Olivia Rose. What makes the English designer’s brand especially fascinating? It’s a small operation where “every item is handmade to order by Olivia herself in her studio,” reads the site, and every item is sent with a personalized note written by hand. This is the kind of attention to detail and customer care that is often missing in today’s digital fashion landscape. The traditional fashion calendar is built around fashion shows, regular collections, and strict delivery dates. For young brands, though, the fashion cycle can be hard to consistently meet. That’s why some brands, like New York–based Orseund Iris, are doing things differently. 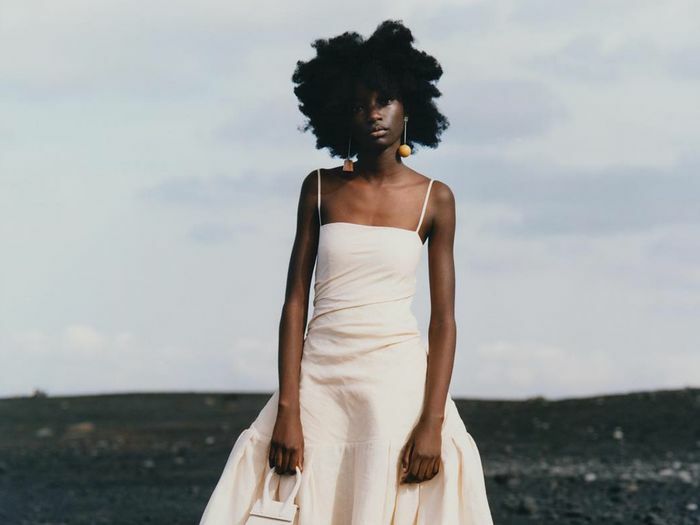 Instead of adhering to fashion’s grueling calendar, designer Alana Johnson pivoted to a seasonless collection and is sticking to her own schedule to produce and sell clothes. Now, meet five boundary-pushing creatives transforming fashion.